Mantis Vision is a leading 3D content creation technology company based in Israel, enabling high-quality depth sensing and dynamic-volumetric video capturing with live VR streaming capability. Mantis Vision’s solutions are used for a range of applications, including: cinematic VR filming, 360 human video creation, room scaling, telepresence, professional 3D scanning, as well as mobile user generated 3D content. The solutions are based on proprietary coded structured light technology, and cutting edge 3D content creation software, enabling Virtual and Augmented Reality experience with user content creation. 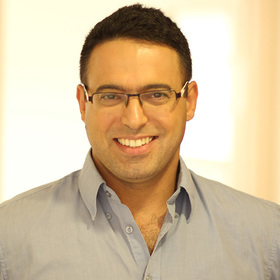 Gur Arie Bitan is the CEO and co-founder of the company. Widely recognized as a visionary of the digital video market, Gur was immersed in video from an early age. At 12 he completed his first system integration project and quickly developed into one of Israel’s leading experts on video integration solutions. The leap from 2D to 3D was a natural progression, as he expanded his activities from supporting existing systems to developing new ones. Prior to co-founding the company, he served as the VP of Business Development at DVDemand, and as the Technical Manager for Primus D&A.